Oil and gas drillers may need to be bonded. California‘s oil and gas well drillers must comply with the state’s laws in order to prevent their wells from becoming environmental and health hazards. 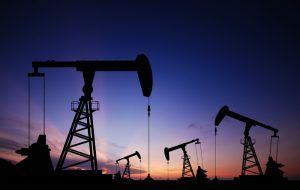 Oil and gas drilling operators will see a change in their surety bond requirements starting January 1, 2018. That’s when California Assembly Bill 2729 that passed in 2016 takes effect. Besides increasing the bond amounts, the bill states new rules for handling idle wells, with new fees and stricter regulations for unused wells. Bonds can be posted for individual wells. But if an operator has more than 20 wells, a blanket bond can be issued to cover all their wells. Bond amounts depend on the number of wells handled. The bill also regulates the management of idle wells — wells that have been neglected or abandoned — which can cause great harm to the environment and to people. The definition of long-term idle wells has changed from wells that have not been in use for over ten years to eight years. Idle wells have not been in use for two consecutive years. Starting in 2018, operators have the option to pay the fees or file a plan for elimination. Get more information on Assembly Bill 2729 here. Whether you have one well or thousands, SuretyGroup.com can get you bonded. Contact us for a free, no-obligation quote. We offer low rates and fast service. Email info@suretygroup.com, apply online at suretygroup.com, or call our Surety Bond Specialists at 844-432-6637.